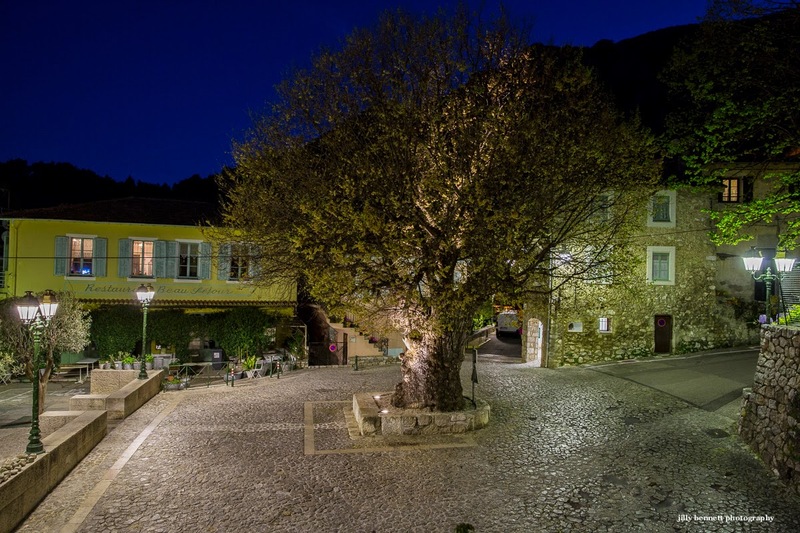 Menton Daily Photo: Let there be Light! 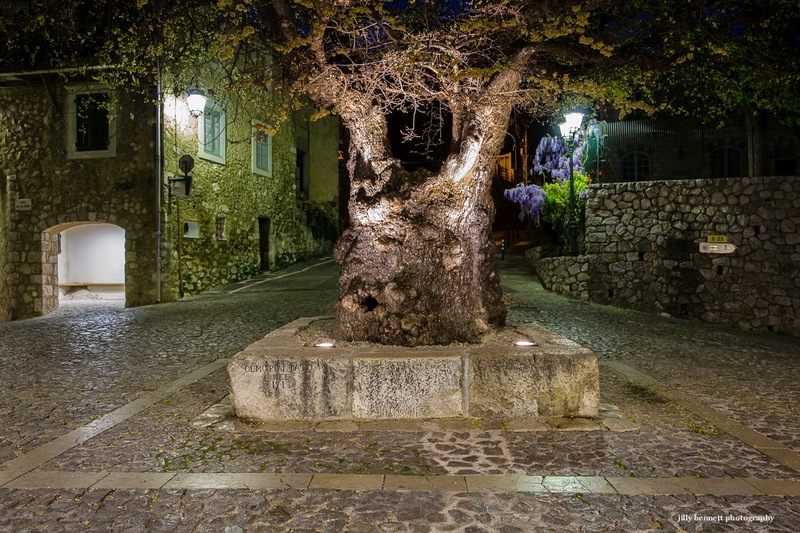 The Mayor of Gorbio, Michel Isnard, has recently had more lighting installed in the cobblestoned square with its 300 year old elm tree. Pretty isn't it? And practical too. Le Maire de Gorbio, Michel Isnard, a fait récemment installé de nouveaux éclairages sur la place pavée où se trouve l'orme tricentennaire. C'est joli n'est-ce pas? Et pratique aussi. 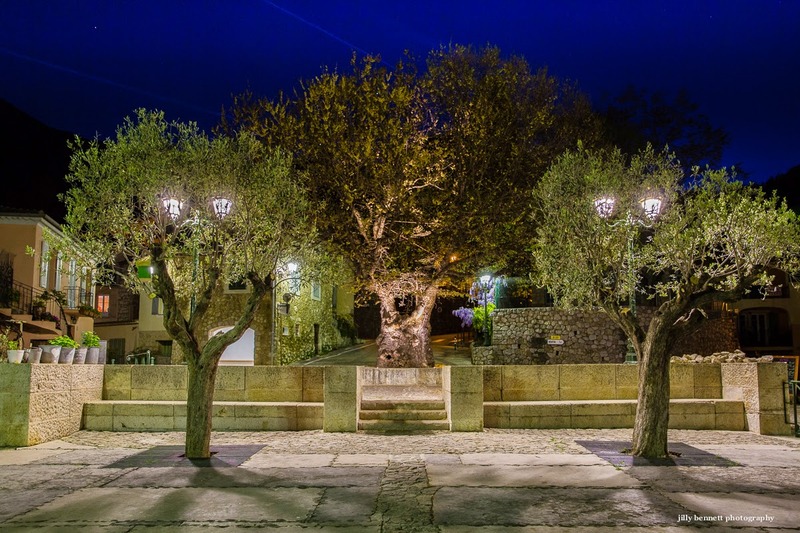 Beautiful and the square is very clean! Clearly much pride is taken here. I am happy to see that. So pretty! Looks clean and safe to walk at night.